Modern Rustic Kitchen Makeover // ORC Week-2: Progress! It’s already week 3 of the Spring 2017 One Room Challenge and I have some exciting progress to share! I started receiving some items for the space, and that’s always fun. I also finalized my backsplash and light fixtures. Plus, I’ve been busy building and painting away. But first I had to make a decision on backsplash. All 3 options are marble, but the color and pattern are the only differences. You’ll have to read on to see what I pick, but what’s your favorite? Next, I finished prepping, sanding, and priming my ship-lap peninsula wall. After the primer was dry I wasted no time adding my first coat of paint. I used Dunn-Edwards Sky Glass (DE6303) in semi-gloss in their ARISTOSHIELD® line. I still have 1 more top coat to add, but this wall is practically done! So nice to “almost” check a project off the list. I also started my kitchen table makeover. Here’s a little sneak peek, but I’ll have much more to share next week. Back to the backsplash! I ended up going with the linear pattern! 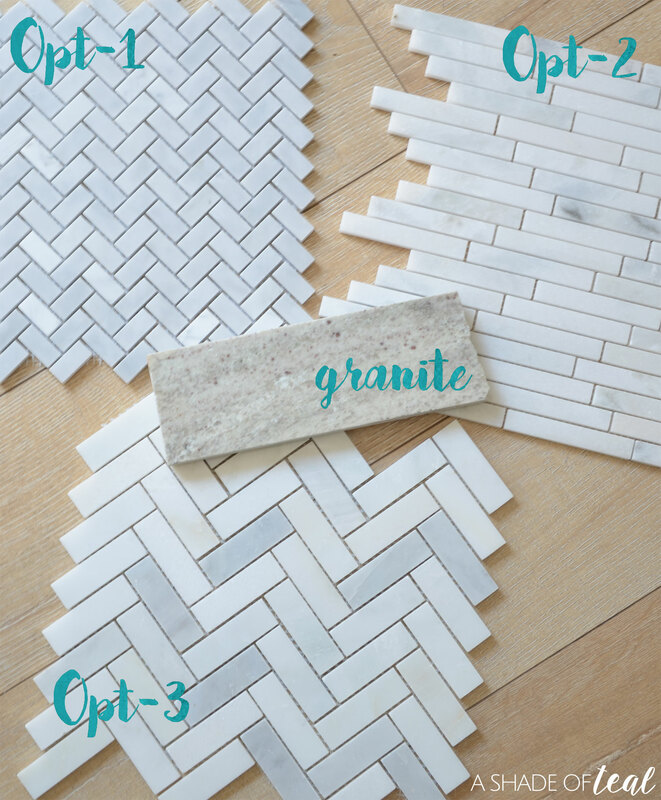 I loved them all so much, but when you compared my granite to the more grey herringbone options, it looked like it would be too dark for my space. So in the end the linear option was the most white of all 3. I also received my hardware from Hickory Hardware and and I’m so excited to install them. But prepping and painting my cabinets is still in the works so it will have to wait a little longer. So there is my week 3 recap! Thanks again to my amazing sponsors that are helping me get this room done. Yep, the linear was my fave! Good choice! 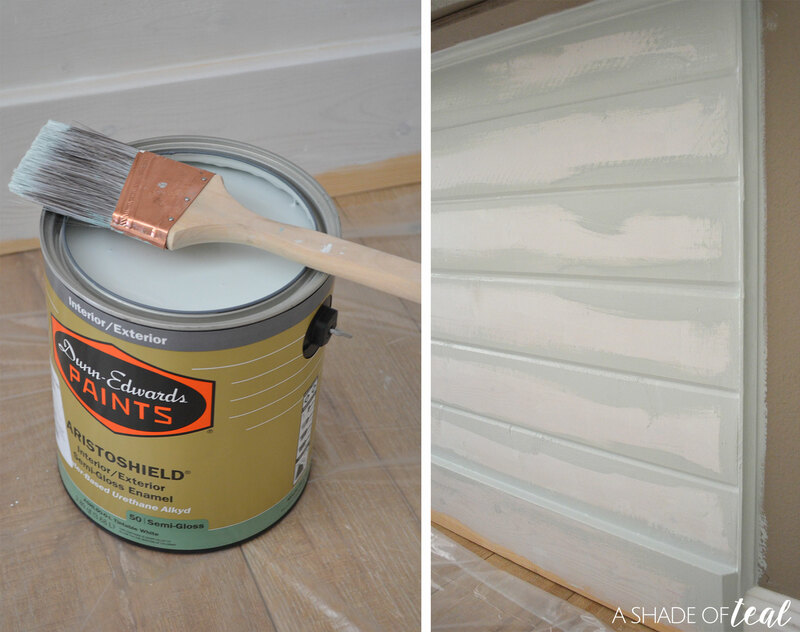 And the color of the shiplap is perfect! Thanks Julie! I’m so glad I’m not the only one who liked that option best! 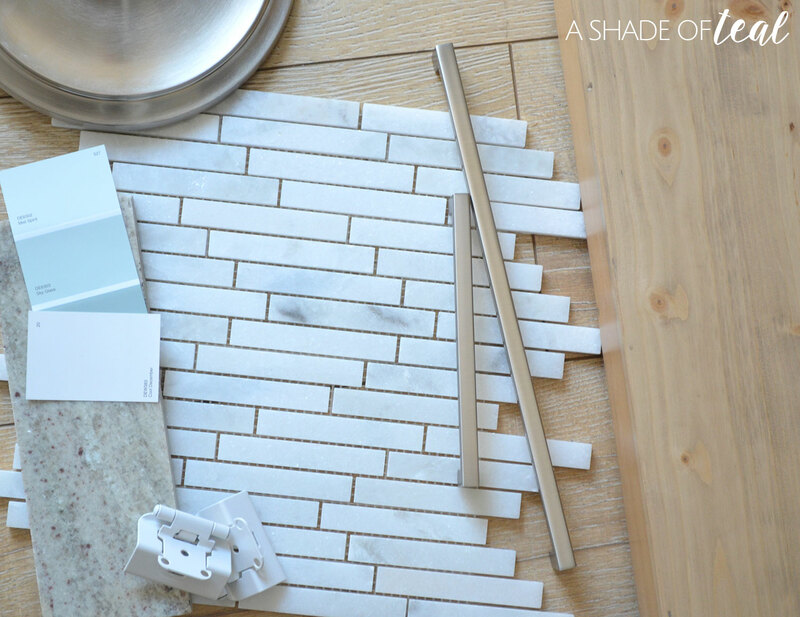 Love the backsplash tile you chose, and the colour on the island is dreamy. Granite is much more durable than marble, it’s also more resistant to scratches. your tile is gorgeous and i love the color on the planking! 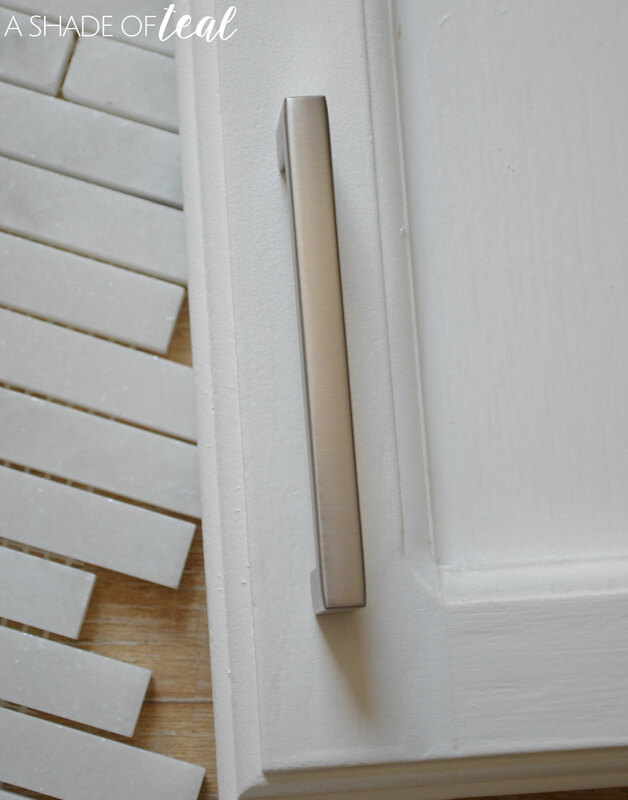 Love the linear it mirrors the horizontal shiplap beautifully! It does! Never thought about that! Love your paint choice for the island so much! It’s so pretty!!! I liked the choice of colors. We are from Philadelphia and planning to get our Kitchen Makeover done soon, was searching for related stuff when I saw your blog. Good one! Thanks Donna for stopping by. Oooo girl!! It’s already looking sooo good! 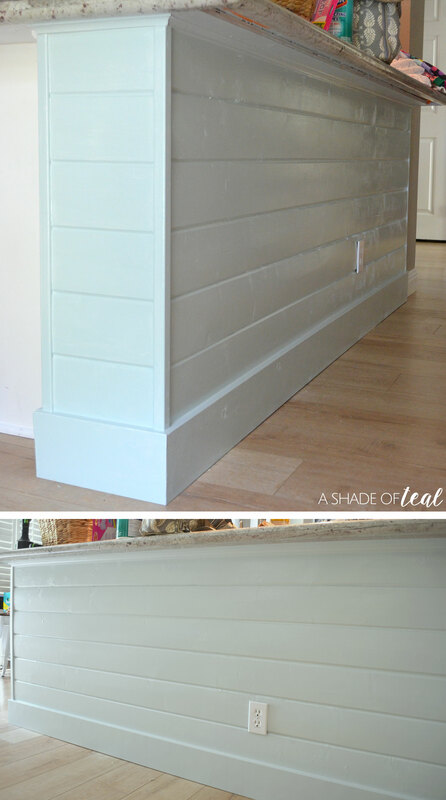 Love love love that shiplap peninsula. You’ve chosen such classic elements that you’re going to enjoy this kitchen for a long time. I’m really happy I went with that option too, It blends better. I have linear tumbled marble in my kitchen. Love love love it! It really is so beautiful! 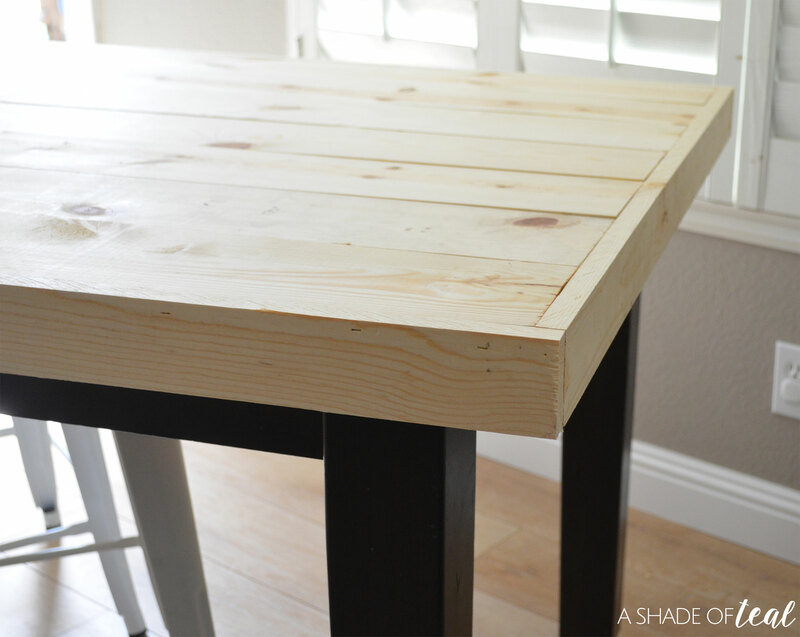 I love the kitchen table, it’s going to look so amazing! It looks beautiful already. Can’t wait to see the reveal!